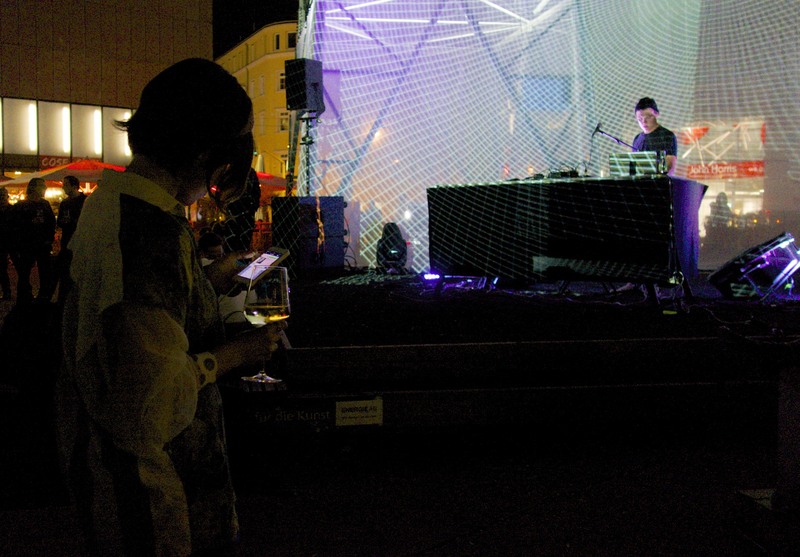 Went to Ars Electronica 2014, heaven for new media art geeks and dystopian digital futurists. Expedition time! A bewitched report! The fantastic bewilderment of finding myself lost in a huge ocean of cyber arts, thrilling animation programmes, singing houses, mysterious math formulas hidden around the city, interactive installations in churches, video art performances, endless labyrinths of crazy bad-and-good electronic art exhibitions, indie retro-technological club-art openings, and everyone here are more in their mobile-device-reality than the real reality. Das Vergerät, by Boris Petrovsky, a huge collection of household appliances, the power for each evil apparat controlled separately by digital algorithm magic. 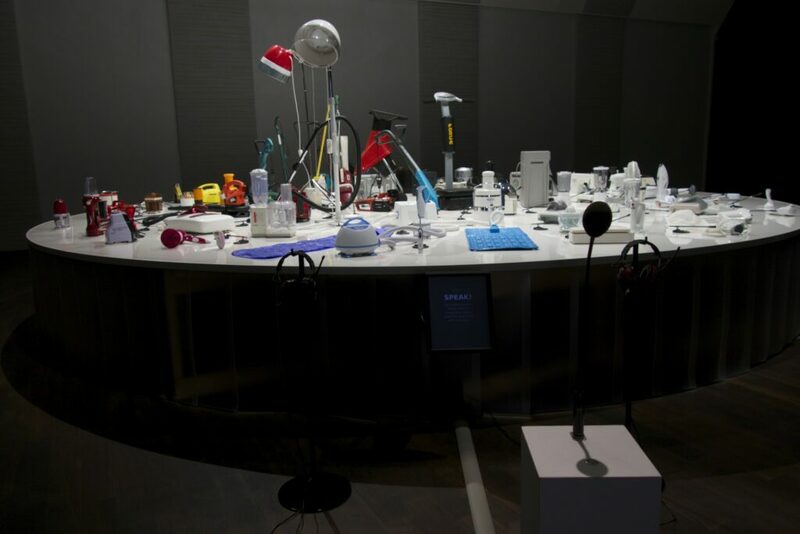 I would speak into a microphone, my voice analyzed, reconstructed for voice synthesis, and then this forest of appliances would try to recreate sonically this voice syntheis, copy what I said, through creating sound by sequentially quickly turning themselves on and off. 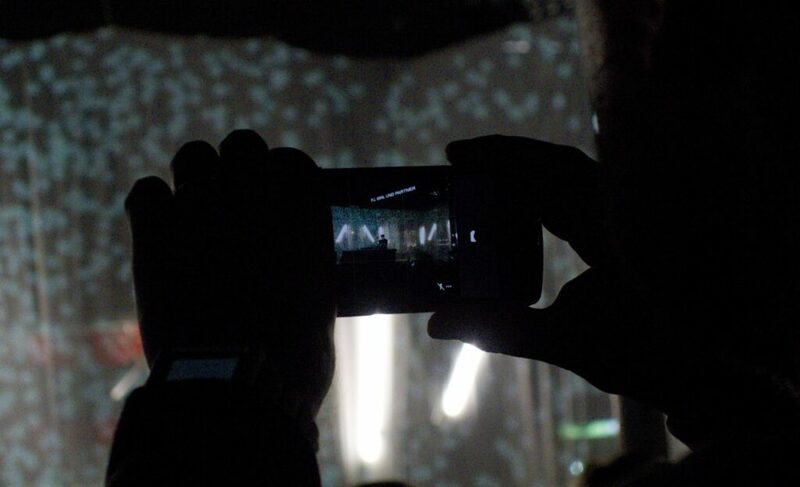 A domestic echo chamber. Hilariously fantastic. 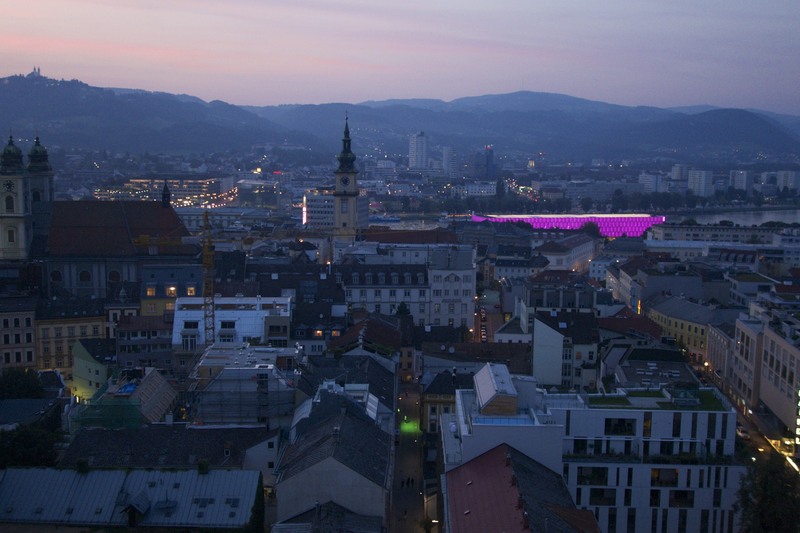 The whole city of Linz is filled with strange mysterious chalked up mathematic riddles. 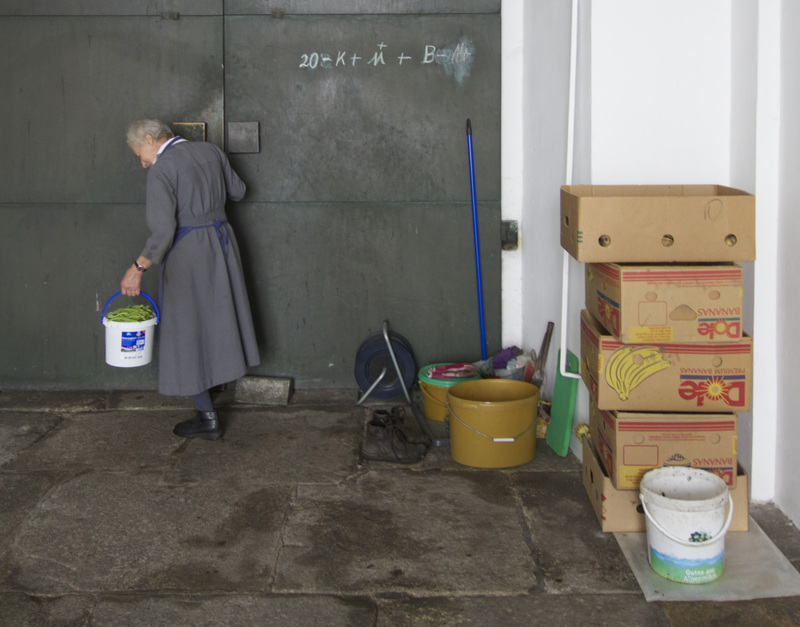 And eaves-dropping nuns. 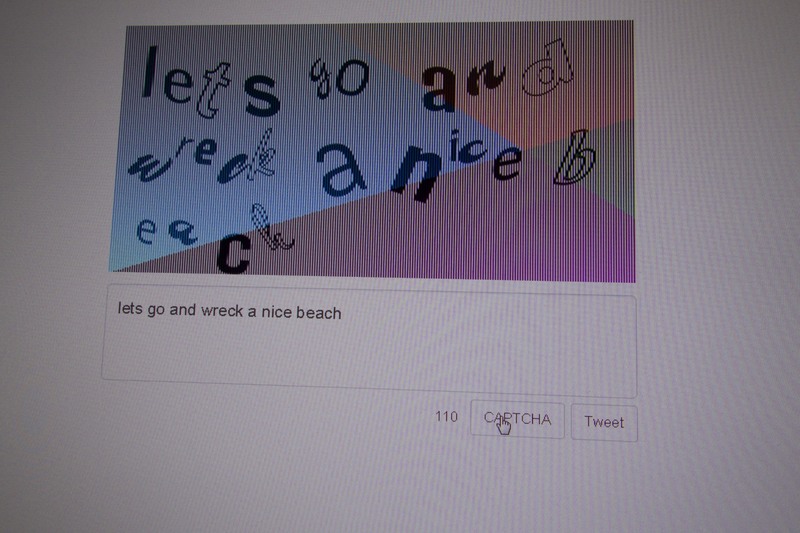 I liked the reverse, simple conceptuality of Captcha Tweet, by Shinseungback Kimyonghun. A mechanism for humans to communicate digitally without computers eaves-dropping on us: You input text, and the algorithm turns it into a captcha and posts it. Of course, this mechanism itself can then eavesdrop. An algorithm to avoid algorithms. Ninety Six by Nils Völker, a wall filled with 96 breathing, living plastic bags. 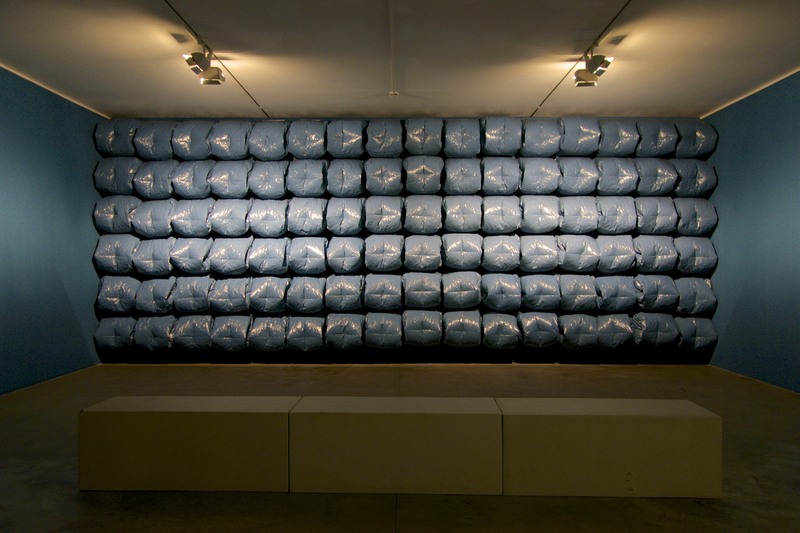 Wonderfully meditative and conceptually beautiful. I saw this room very late at night, the exhibition area emptied of other people. I had the area to myself, just sat there for a long while watching trashbags breathe. 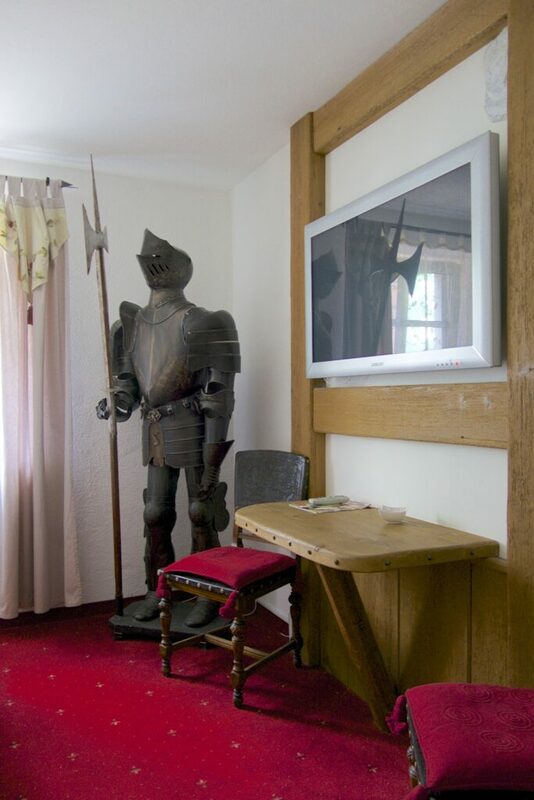 Did I mention my hotel room had a huge statue in armor? 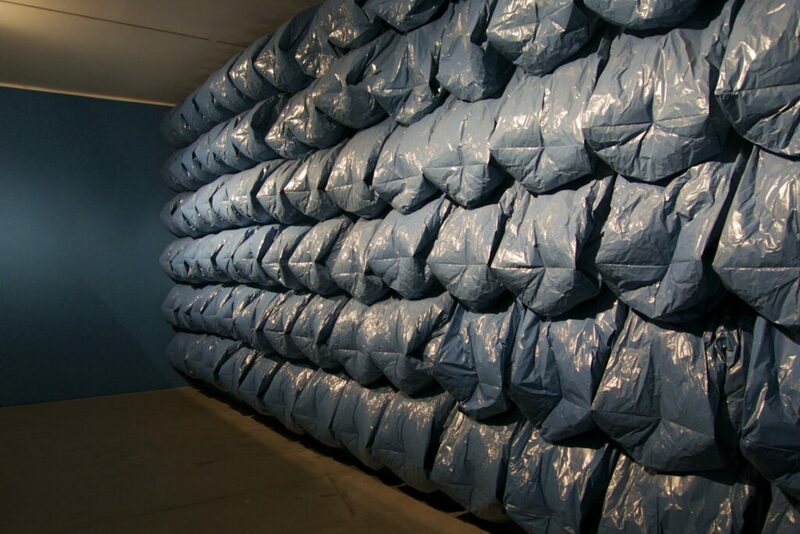 But my most favorite piece was a very simple and un-assuming work: Cloud Face by the same genius Shinseungback Kimyonghun. 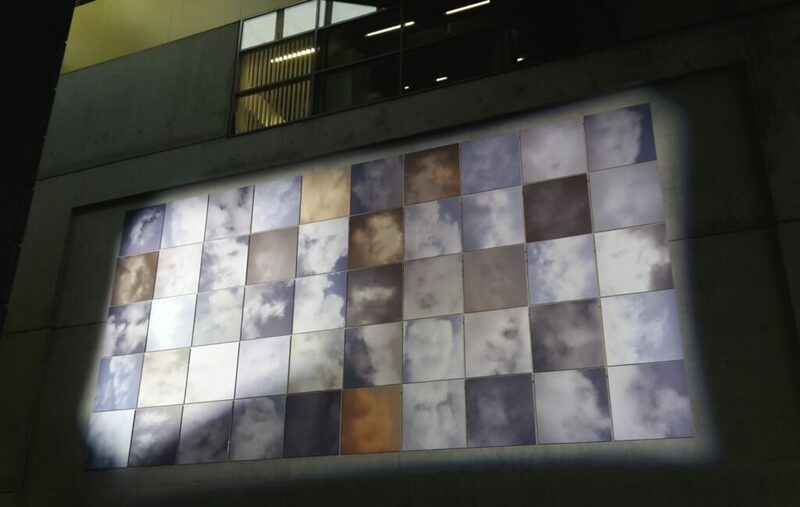 A large wall in the Ars Electronica center was filled with simple printouts of clouds, where face recognition algorithms had indicated the presence of a face. Ghost clouds. Expedition conclusion: Cookie house success. A++++ will be eaten by witch again.